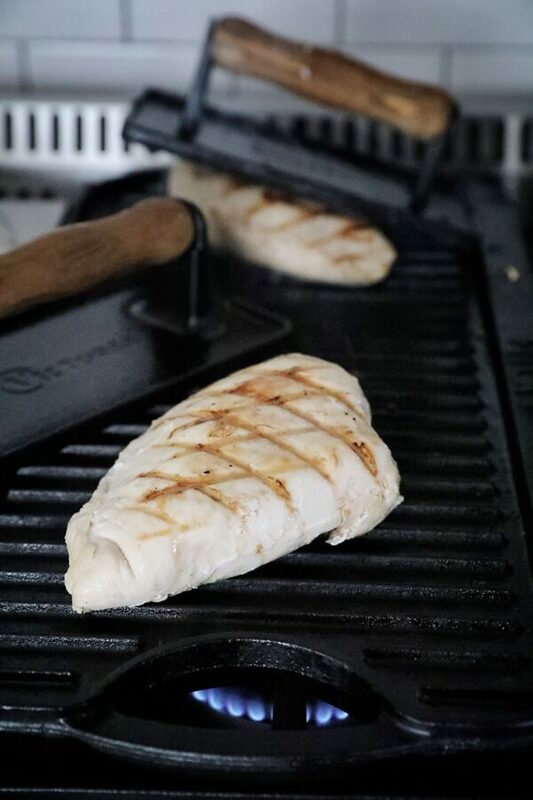 Perfectly juicy chicken breast every time. 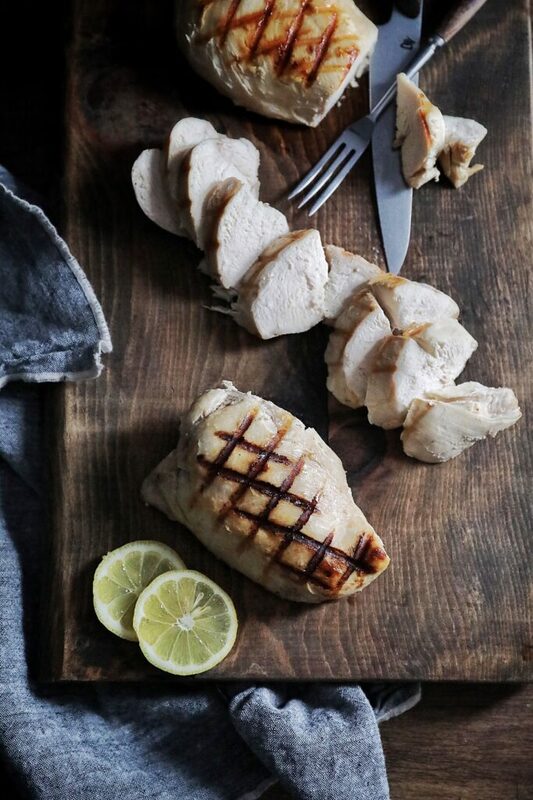 Take the guess work out of preparing chicken breast by seasoning and vacuum sealing (sousvide) raw chicken, then cook it in a temperature regulated water bath. Regulating the temperature at 145 degrees for over an hour will pasteurize the meat. This will allow you to cook meat below the USDA suggested temperature of 165 without fear of getting sick. At that temperature the meat is dry and chalky. below 140 degrees the meat is stringy, slightly raw and chewy. 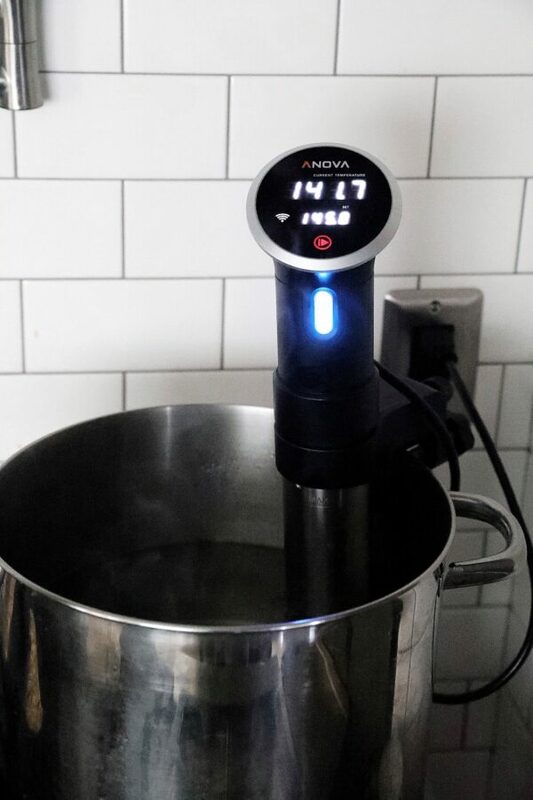 145 degrees is the perfect temperature for great tasting chicken. The amount of salt used will vary depending on the size of chicken breast used. I recommend using 1/4 teaspoon salt and 1 tablespoon butter per pound of chicken. Use more or less salt as you see fit. 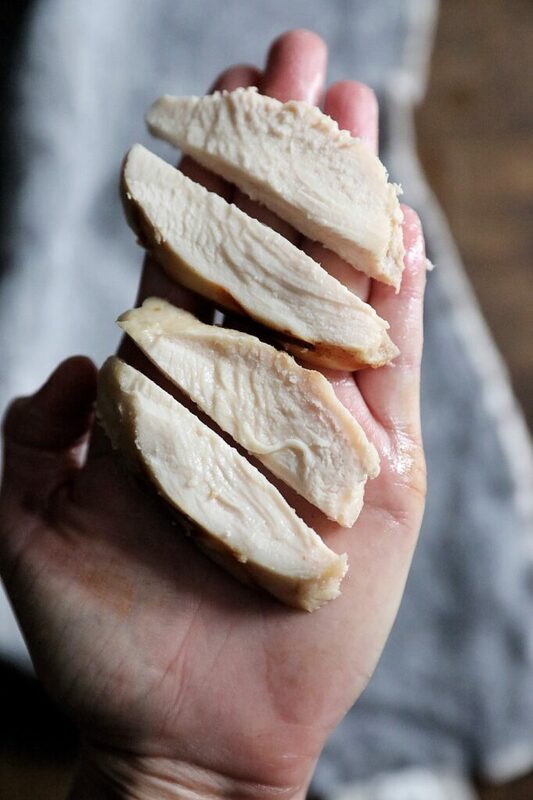 The amount of salt used will not have an impact on the tenderness or juiciness of the chicken, however seasoning properly will improve the overall taste. 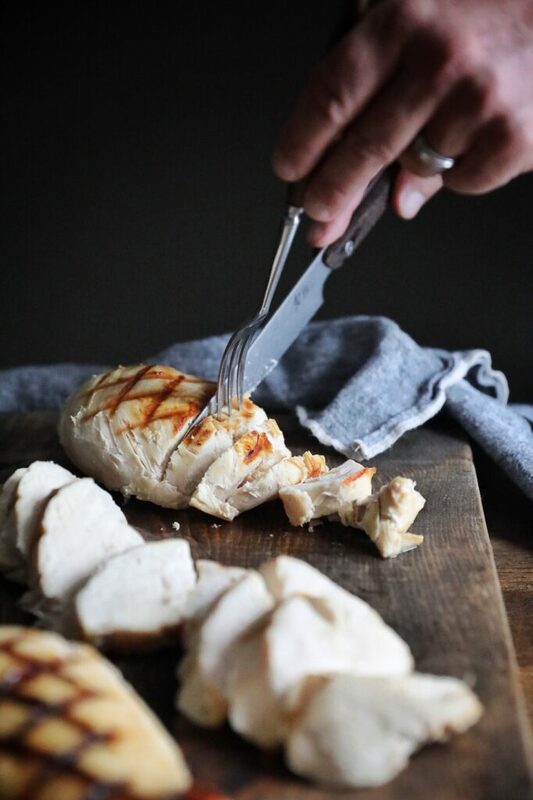 Place approximately 1 pound raw chicken breast, 1/4 teaspoon salt, 1 tablespoon butter and 1 clove minced garlic in to a vacuum seal bag. Remove as much air as possible from the bag using a vacuum sealer or the water displacement method. Place the bag into a water bath regulated at a temperature of 145 degrees. Keep the chicken in the water bath for at least two hours. Do not exceed 6 Hours. Preheat a grill or skillet, and quick sear both sides til golden brown. I use a grill press to flatten the meat on the grill so it cooks evenly. Let rest 2-4 Minutes before cutting. 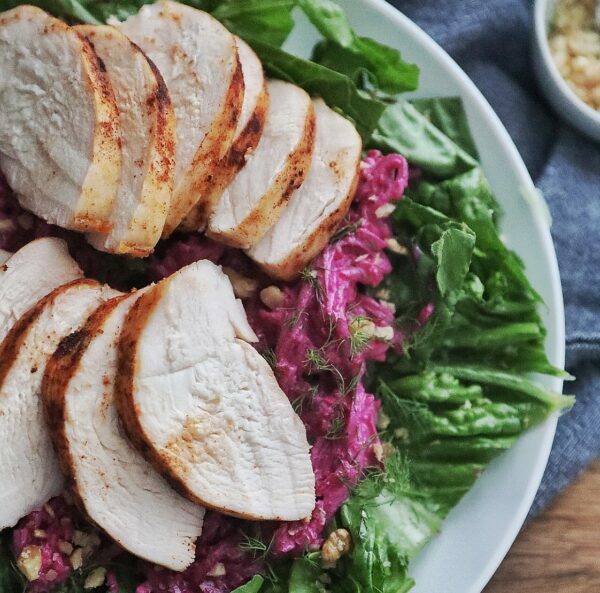 This Recipe can be prepared in bulk and used for meal prepping. 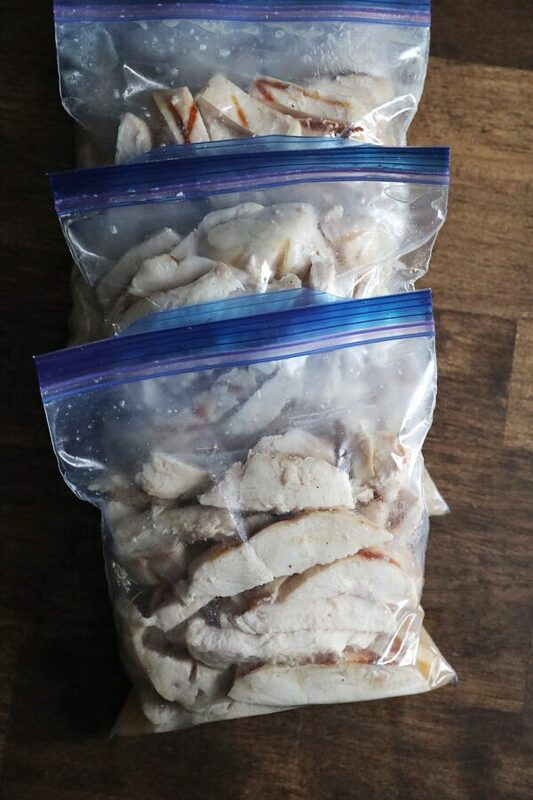 I recommend slicing the prepared chicken breast into strips or cubes and placing it into a Ziplock freezer bag with the juices before freezing. Bags that have been vacuum sealed and not opened will last longer in the refrigerator than ones that are zipper sealed or exposed to the air of a refrigerator.